End Annoying Barking with the most advanced No Bark Collar on the market. 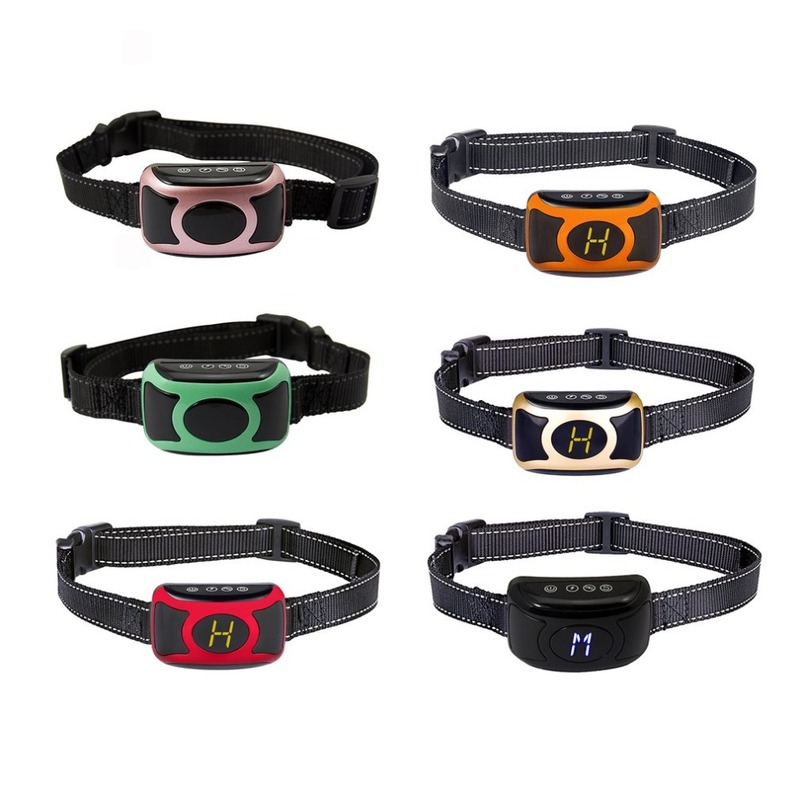 Adjustable from 6.2” to 20.5”, the Bark Collar fits any size or breed of dog, from Miniature Pinschers to English Mastiffs. 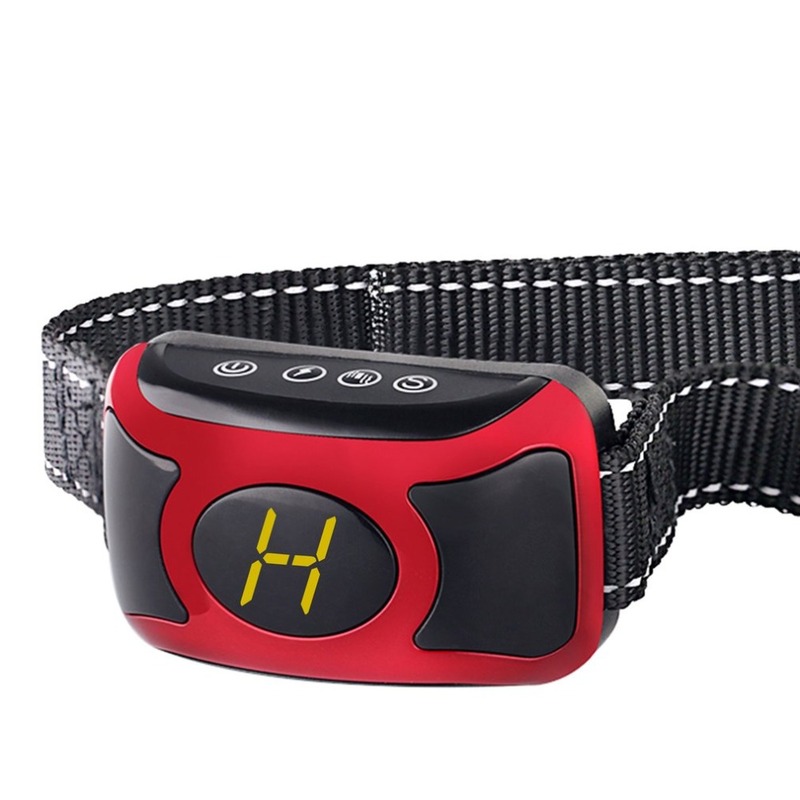 Visibility and Safety: Use the halo generated by the combination of energy-saving lamps and fiber optical, distribute uniform light, and the edge adopts reflective stripe sewing, and keep them safe, very suitable for pets with a night walk. Adjustible Intensity Levels of vibrations and shocks are harmless to your dog. Auto Protection Mode activates if the collar delivers 7 corrections in a 1-minute period. LCD digital display allows quick, easy set-up. Weather Proof & High Visibility in low-light conditions. With a water resistance rating of IP56, your dog is free to play in the sprinkler. Two rows of reflective stitching keep you both safe from motorists after dark. 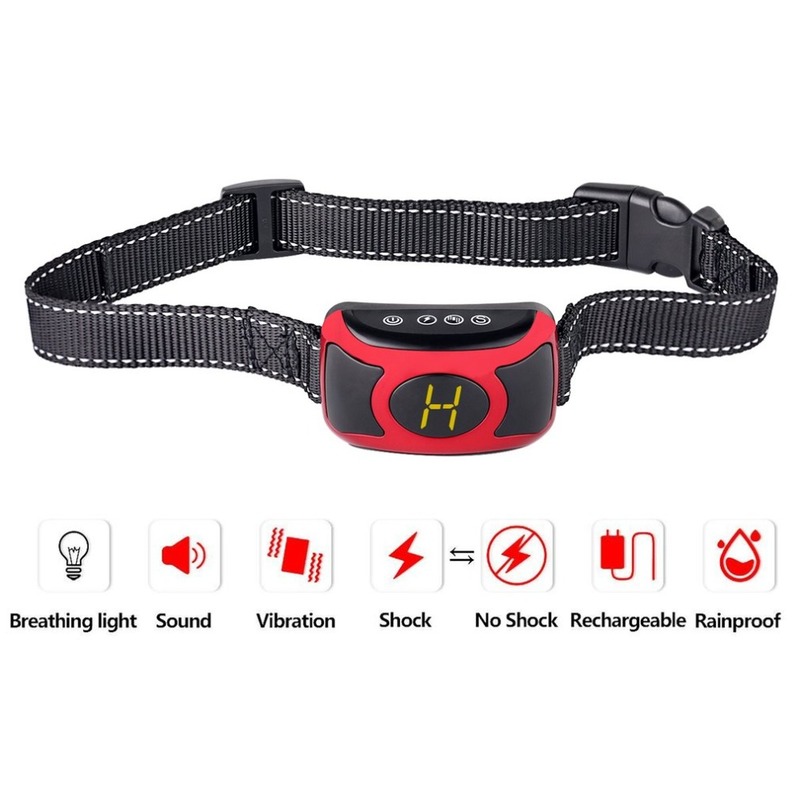 Save Money with our USB rechargeable static shock bark collar. Never buy the wrong size batteries again or find yourself without batteries if the collar runs low. Protect our planet from toxic disposable batteries.